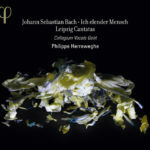 Sinfonias, choirs and arias from various cantatas. Clara Pons’ new film Lebenslicht follows three generations of men, each the child of his father. The grandfather reflects on the end of his life, the father is struggling with his relationship, the boy suffers and dreams. There are no answers. Only Bach’s music can alleviate the pain.